Keep foods from sticking to fry pans with this Pan Sprease 16 oz. 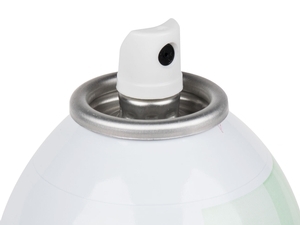 all-purpose release spray! 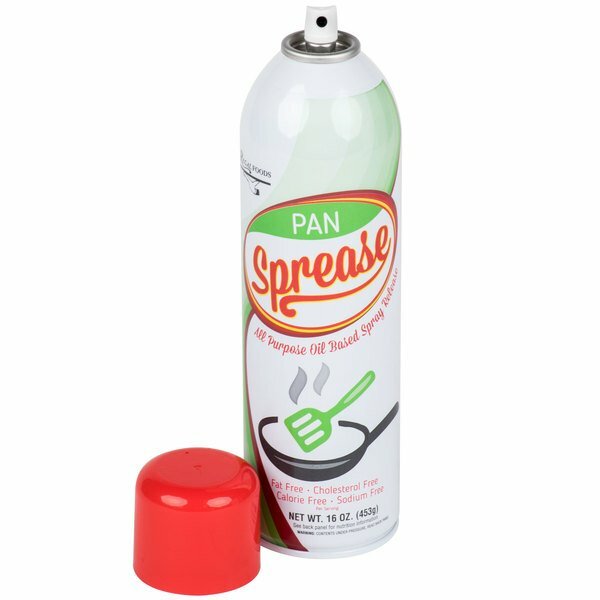 Offering excellent value and quality, this Pan Sprease release spray will help tackle a variety of cooking and frying tasks. 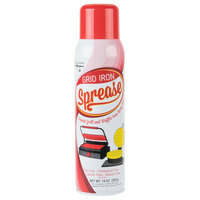 It creates a non-stick coating on a variety of surfaces, including grills, casserole dishes, and fry pans. 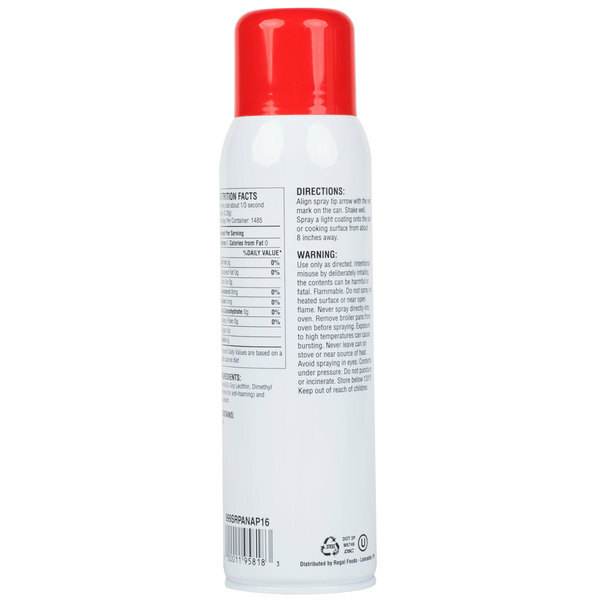 Made with canola oil to handle high heat, this spray is free of fat, cholesterol, calories, and sodium. 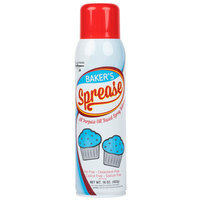 Stock up on this product for your restaurant, buffet, or next catered event! 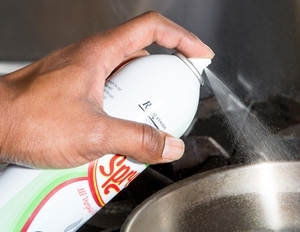 "I love this cooking spray. 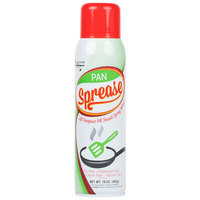 It doesn't flavor the food you are cooking and is really easy to clean off of baking pans. 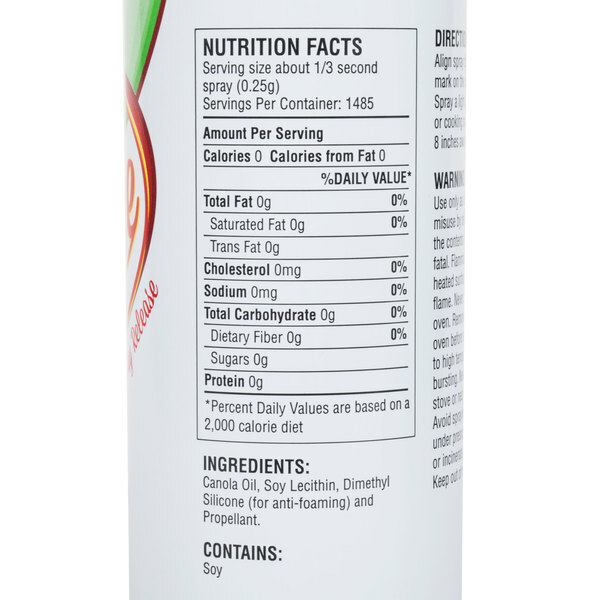 The large 16 ounce size is great and lasts a long time." 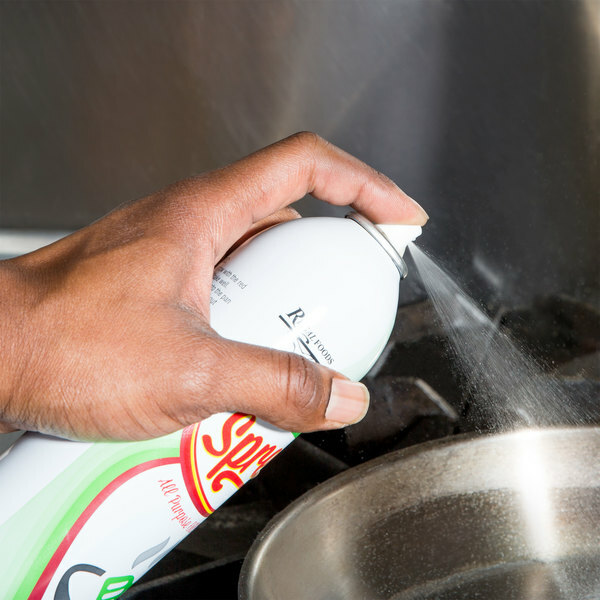 Simply shake the aerosol can and spray a light coating onto the cooking surface to create a surface from which foods will release easily. 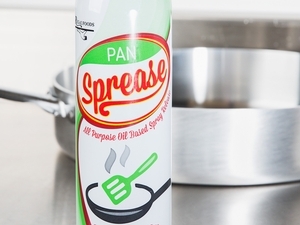 Eliminate labor time, avoid applying too much or too little grease, and enjoy a more consistent taste with this all-purpose pan release spray. The release performance keeps foods from breaking apart and sticking to the pan, so you'll also enjoy an easier clean up. 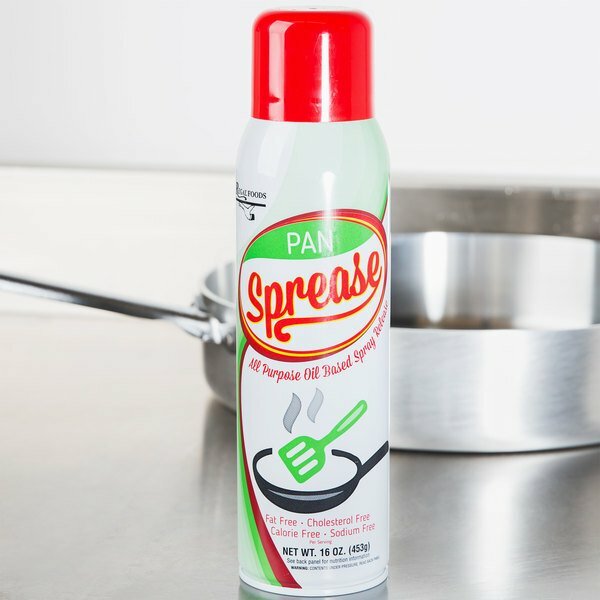 Not only can you avoid gummy build-up that occurs with other greases and oils, but you can also extend the life of your pans and lessen replacement pan costs.